I have recently been to the Camotes group of islands in northwestern Cebu. We stayed at Santiago Bay Garden Resort at Santiago Bay, San Francisco town on Pacijan island. With me were Leslie, a team building facilitator affiliated with Cebu Teambuilding Services and our team building program participants from NPAX Cebu Corporation. The last time I was in Camotes was way back in 2000 when I was still starting my career as a training facilitator. This post is about information on the different options one can take to get to the Camotes group of islands from Cebu City, Philippines. Oceanjet Fast Ferries Corporation has two (2) daily trips from Pier 1 in Cebu City to Poro town in Camotes. Fare is PhP 280 per person. The trip takes two (2) hours. Schedules are at 6:00 a.m. and 3:00 p.m.
From Cebu City, one can either take a air-conditioned passenger van from the SM City GT Express Terminal or a jeepney also from SM City to Danao Port. The jeepney fare is at PhP 35 while the van fare is PhP 50. Jomalia Shipping Lines has five (5) daily trips from the port of Danao City to the Consuelo Wharf in San Francisco town on Pacijan Island in Camotes. This trip takes two (2) hours and the regular economy fare is PhP 180. When I took this trip, I saw some dolphins playing in the wild. This happened halfway during an early morning trip at around 6:45 a.m. and during my return trip at around 3:00 p.m.
A pumpboat serves the route between Danao City and Puertobello Port in San Francisco town. 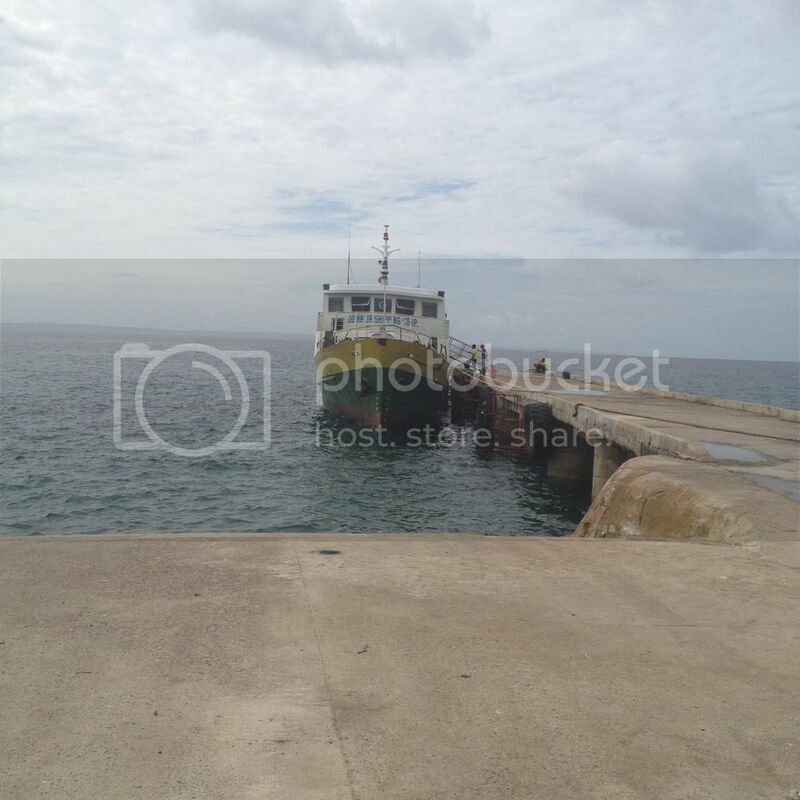 Super Shuttle Ferry also sails from Danao City to Poro town in Camotes at 1:00 p.m. daily. Passenger pumpboats also sail from Mandaue City to some points in Camotes. Unfortunately, I am not so familair with the schedules for this option.